With 58 years in the roofing business and two generations of roofing experience throughout Northern, Central and Southern California, Pacific Roofing is the Central Valley's choice for quality roofing. We are the Central Valley's "Top of the House" experts trusted by our clients to protect one of their most important investments. 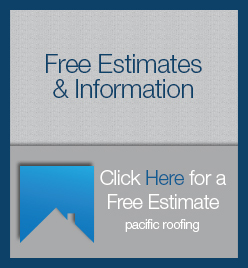 At Pacific Roofing, we realize that selecting a roofing company is an important decision. Roofing work is a significant investment in your home, and we want you to make an informed choice when choosing a roofing contractor. Download our FREE "Choosing The Right Roofing Contractor" PDF and see what sets us apart from the others. "Pacific Roofing did a fantastic job! We love our new roof. our options for durability, look, and energy savings." — Robert and Jaci C.